PHILADELPHIA (WPVI) -- Pennsylvania is getting yet another extension to comply with a federal law that requires driver's licenses meet anti-terrorism standards. Beginning early next year, the REAL ID Act will tighten requirements to fly, and some states' driver's licenses might not make the cut. Wolf had announced just last week that an extension had been granted an extension through Jan. 22. 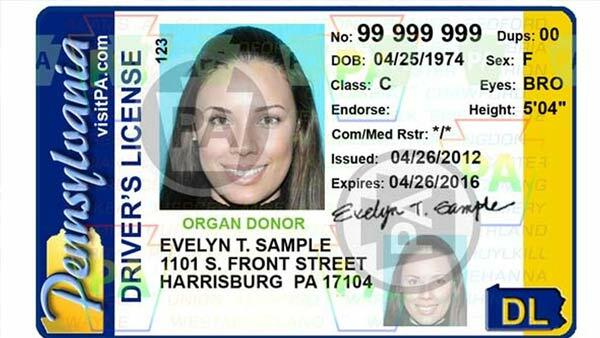 Despite the latest extension, the Pennsylvania Department of Transportation doesn't expect REAL ID licenses to be issued until March 2019. That means Pennsylvania residents may need a passport to board even domestic flights to meet stiffer federal after Oct. 10.